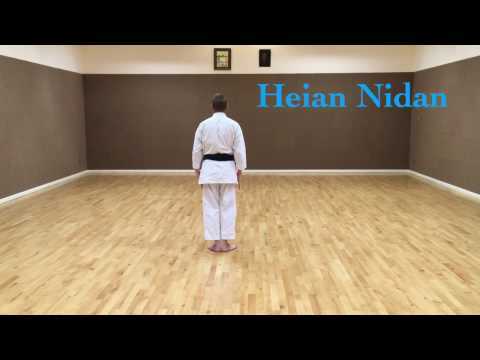 Info about "Heian nidan (kata) video"
Heian Nidan is the second of the five Heian, or “Peaceful Mind” Karate Shotokan katas. 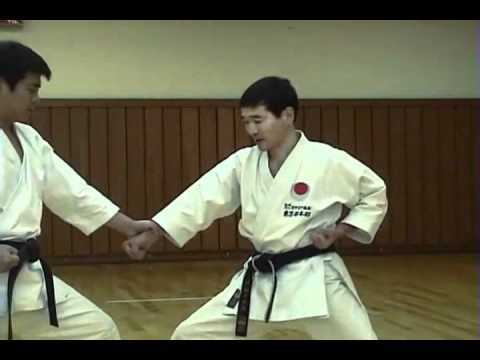 This kata introduces the student for the first time to kicking techniques within a Kata such as yoko geri keage (side snapping kick), and mae geri, (front kick). 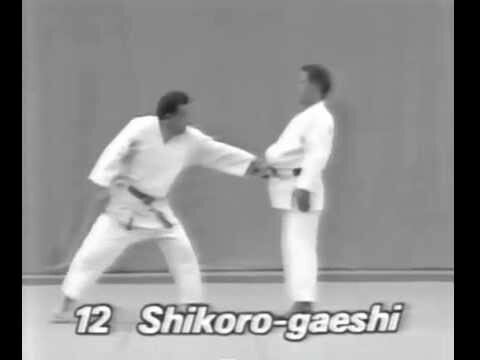 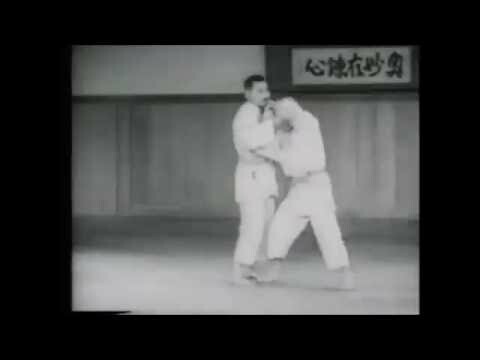 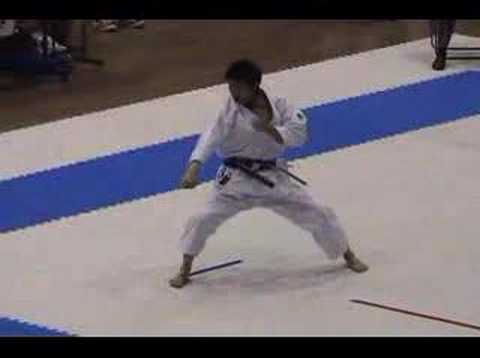 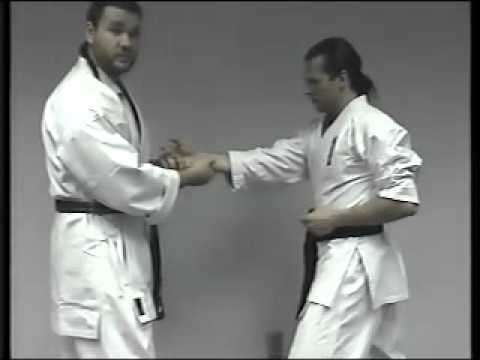 In addition several new hand techniques are also introduced for the first time, they are nukite uchi chudan (middle level spear hand strike), giaku tsuki chudan (middle level reverse punch) as well as an augmented block, morote uchi uke (supported middle level inside outward block). 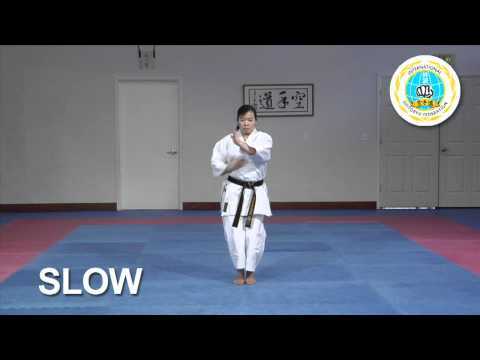 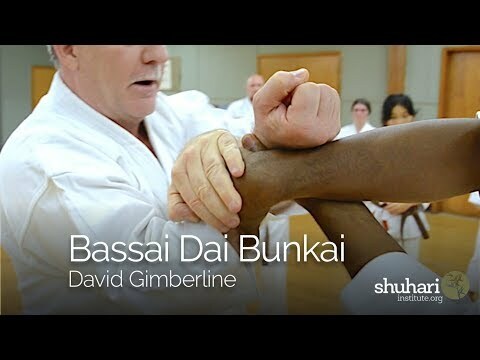 This kata contains 28 moves and should take the student approximately 45 seconds to complete.